Platinum Games to Reveal Shinji Mikami's Next Soon? Platinum Games has jumped aboard the countdown website wagon with both feet. Platinum Games, the studio behind MadWorld and the recent Bayonetta, has begun counting down to something on its website. As IGN points out, the reason you should care is that Platinum Games still has an unannounced game in development by Shinji Mikami, the creator of Resident Evil who either produced or directed all the top games in the series. 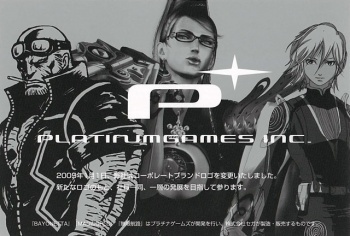 Even if whatever is being teased is not Mikami's next project, anything Platinum Games is counting down to likely deserves attention. The company's staff has also worked on games like Okami, Viewtiful Joe, and Devil May Cry. As is the case with Bayonetta, they make really great games that are usually unique in their weird Japanese flair. I guess I'm an idiot, because everybody seems to think that the countdown will be up by the end of the week, but my calculations show that it will end in six months. I'm probably reading the countdown digits wrong, as common sense dictates that I forgot to divide by 60 and the reveal will instead take place on January 8. For now, clicking around the countdown page will combine its stars and symbols into various shapes, and you can also rotate everything around to make yourself dizzy. Could it be teasing Resident Evil... in SPACE???? ?